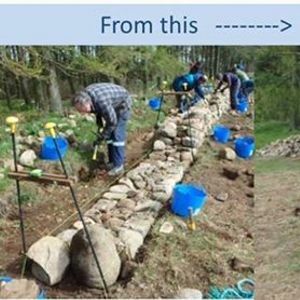 Partnering with Billy McCallum of Drystane Dyking we are really pleased to offer this workshop at Cherry Tree Lodge. - All other equipment and tools necessary for the course will be provided. - a delicious lunch and refreshments throughout. Each day starts at 9am and completes at 4pm. You could make a weekend of it as there is also the option to stay overnight due to the venue also being a guest house/retreat space. The cost of the two day course is £85. You can reserve your place by making a payment by card over the phone with Mark at Cherry Tree Lodge on 01383 851059 or 07940 421038.